Senneheiser has shown off what it describes as the most advanced Bluetooth headset ever – with the £289.99 Sennheiser Communications Headset MM 450 Travel, bringing all the quality you would expect from the brand and the price. The MM 450 Travel headset brings stereo Bluetooth 2.1+ EDR supporting A2DP and AVCRP, and Noisegard active noise reduction – and folds up for portability. The headset set is charged via USB, and also contains a microphone so you can use it with mobiles – as well as a talkthrough button that turns on the external microphone so you can interact with people without removing the headset (which may look a little rude, of course). Sennheiser promises that the closed-capsule design means that you won't irritate your neighbours, as well as keeping background noise to a minimum. 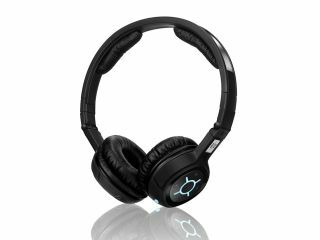 £290 also buys you a two-year international warranty and the Sennheiser MM 450 headset is available from stockists now.